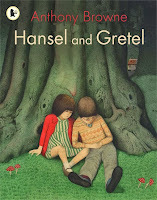 In Year 3, we have started to explore Anthony Browne's version of the classic fairy tale Hansel and Gretel by the Brothers Grimm. Anthony Browne is famous for his wonderful illustrations and this is where we have started. Can you describe the scene below? Think about what you can see and how it makes you feel. Remember to use descriptive language and write in short sentences. What might the children hear and feel in this scene? In the picture are gost like trees and owls hooting ,wolfs howling and branches snapping.Dark and gloomy shadows moving around me and spooky trees towering over me.Trees looking like ghosts shiver ran down their spines. Tell me more Tanisha. Focus on describing the scene. They are deep inside a dark and spooky forest. They are completely surrounded by trees and you cannot see any light. I can see that are strounded by trees. I can see that the mum is in charge of leading them into the dark gloomy woods. I can see that the boy is looking back because maybe he heard a noise. The picture makes me feel worried and frightening because they maybe will die. I'm so worried because I have no idea what will happen to them they might get killed by an predeter. I can see ghost like trees because the trees have two eyes. I can see loads of stretch out treesthat is huge. I an see humunigs trees seround him and hiz family. I can see the boy is looking behind because he is sceard. This pitcher makes me feel deverstated. Super ideas and great vocabulary Khavalli. What do you think think they can hear in the forest? I think they can hear spooky noises like branches breaking, wolves howling and owls hooting. I think that they can hear a big spooky dirty looking bear and some of the foxes and owls. I think that they will feel tingles on there spines.Maybe the trees are goastes because the trees have big holes in them and wobbly spooky hands on the trees. I think that they are feeling terribly terrified because it is horribly dark in the woods. The dark and gloomy woods. I think that hansel stopped and turned around because he heard something very spooky and very scary. I can see a family of four people and they are so deep in the woods and the mum is the leader the little boy is looking backwards because he can hear the sound of a owle and a werewolf also the leafs rustling the litte girl is scared the trees are towering over me and I feel like something is watching me my selfish step mother is abandoning us so she can eat somuch food to her self and are father doesn't mean to abandon us. In the picture I can see 4 people walking into the wood in the wood it is dark and gloomy every were I look I can see a shadow moving in the sky on the floor even on the left and right. I can hear wolfs howling and foxes all the trees are towering over me there are enormous trees everywhere. Describe the four people Malachi. What are they doing? Is anyone acting differently? I can see that the dad has one hand in his pocket and with the over hand he is holding the mums hand. The mum is looking forward so she knows we're she is going. Hansel is looking behind him.Gretal is just walking. 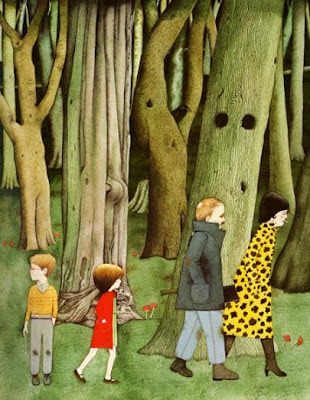 I can see that the mum is at the front of the line and the boy is looking the other way and they are deep down the wood.If the people was in the spooky woods I will feel scared because of the trees they have ghost eyes.The woods are haunted with tall sharp trees covering over the people.If it was dark and the people see they would hear foxes. You must use full stops in your work Samuel. Some great ideas, but try not to repeat yourself. The children might be feeling friterned and terrierfied because both of them and mum and dad are lost alone in the woods walking far far away from home.In the woods there are trees everywhere you go and if you turn back you will see ever more trees and this time it will look like everything is moving it is also dark and glooming out there.They might be scared because somebody left a hole on the trees to make it look just like eyes so everyone can be terrified. Describe the forest Bianca. What can you see when you look carefully at the picture? A tree that has googly eyes and the mum's the leader and the children are at the back, I know that the little girl and boy is scared and the boy is looking back because he might be smelling something or it could be that himand the girl could see a spooky tree with eyes and a nose and a mouth and they might lose Thair mum because there not playing attention.They will go into the dark woods and it will get more freaky far them. What do you think they can hear Lahshay? I see a family in the deep dark woods.i can hear owls hooting and wolfs howling foxes hunting.The kid might have look back because he might of heard creepy noises it could be a bat. They carry on walking deeper in the gloomy forest.The mum is the leader leading them deeper into the terrifying woods. I think they might be hearing walfs kraking trees that look like ghosts grizzly bears roaring a owl saying twitwoo leevs Shakeing trees mover ring the sun dust from the ground fling my skin crawls to my spine and my spine gets haunted all in a skrapy hole. I can see that the mother is leading the family deeper and deeper froo the woods and in the picture the trees look like a gost and I can see 4 people. I can see the towering trees blocking the sun and I can hear wolfs howling everywhere and there are wolfs shadows everywhere I can see dark and gloomy fings everywhere. Great work Amir. Why do you think the boy is turning around and looking back? I think the boy is looking backwards because he mite of heard A branch mooching. I think the boy is looking back because he sees a strange animal and noises he hears from wolves and bears but the family doesn't notice but he does but I think he's the only one Scared Because he sees a animal glooming at him with there coloured eyes but I saw a tree with eyes and it looks like the dad is holding a axe so it looks like he's gonna Chop a tree down. I thingk that the mum is leading the family because she made the plan to try to make the children starve to death. The trees look so skerry. I can see trees and fox. Trees like Gowst, and dark eyes. Terefayd,hangry foxes in the forests and I see the children's was puting roks on the floor. In the deep dark forest they will hear foxes creeping out into the woods. Darkness spreads onto the entire forest as they walk in it. The mother is treating them very badly. They can hear owls high up in the trees. 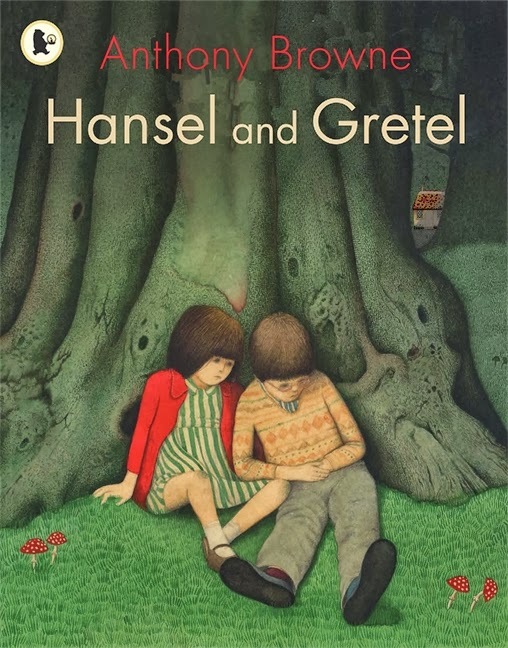 There is no light in the forest except the mother,father,Hansel and Gretel. Gigantic trees towering over them. The mother is leading the way in charge of everyone even the father. All of them where terrified except the mother she wasn't terrified at all. I can see the mum is leading the dad and the children in charge.The tree that have tow eyes looks like a ghost and the other looks like a tree with tow arms.Hansel is looking back because is so dark and he is going to lose in the forest. I think they hear wolfs howling and trees swaing. I think Hansel is feeling sceard. The trees look like a ghost bat flaps the wolf hawls the sneak hist the bear roes cmiln and charmelin camaflag. why wood your mum take you in the woods. Why do you think she did Jevaunte? I can see Hansel is looking back to go back home. Why do we need to go out in the woods by are self.I don't want to go out in the woods. We are not going anywhere else because of you we are not the only children out here. Did you know that because you will make us stave for ever.Why do you treat us like that. There might be big bears around or staving foxes sneking around somewhere but we dont know where is it. They might see it on the way there. Hansel was scared because there might be dangers crechers around somewhere. Why are we going in the woods. I dont want to go in the woods. Well done Tilyrea. Now describe the trees in the picture using descriptive language. I will feel very sad and I will feel terified because my parents are not there.I would love to find my mum and my dad. I would want to go home this minute someone one is going to eat me up a wolf or a fox .I want to go home! I'm very scared of the animals and of the woods it might be the fritening wood monster in the world! It's so dark. a wolf shouting or a owl. They mite of heard a owl and a wolf also foxes and wind blowing every were leafs shivering and fliing in to the sky and shaking. and wispering and a dark and gioomy sky and sticks on the ground.